Keyword ranking is one of the most overhyped and misused metrics in SEO. It is certainly true that you need to track your position but if you place too much emphasis on this metric, this can become problematic for you in the near future. As long as SEO is concerned, what you measure tends to get managed. This means that you need to focus on the perfect metrics and this can allow you to generate results which have a business impact. This article will tell you about the metrics which you need to focus on rather than getting obsessed with securing search engine ranking. Measuring keyword ranking is easy to get sucked as it’s visible. It feels good to see your listing at the top. But the main problem is to put too much emphasis on the metric search results which are usually consistent. Location and personalization are the most common criteria on which the results of Google vary. Your search results are tailored to the location from where you’re searching and this indeed plays a huge role in local search. 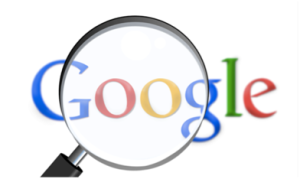 Other search engines and Google are collecting information on how you search personally. The other issue is that majority of the searches are long-tail keyword and phrase. It’s estimated that 70-80% of the demand curve consists of long-tail keywords and these terms not only help you rank easily but also drive targeted traffic. What should you instead focus on? The ultimate objective of any marketing strategy or SEO should definitely be to have an impact on the bottom line. You need to focus on targeted traffic and this starts with effective keyword research. There is a huge potential in targeting long tail opportunities and such terms are more focused and specific. Using such terms as the foundation, you can easily create a strategy to drive targeted visitors to your website. More targeted visitors translate into more transactions and conversions. Apart from that, the analytics tools usually reveal a lot of data on users and how sites perform in search. Know where and how people find you online and also the trend of traffic as this is extremely important to know where exactly you rank. So, instead of being obsessed on metrics which have very little significance, stay at an edge by tracking every aspect which actually sets an impact on your business.